In 2016, Google and The Alpha Workshops were introduced to one another by Betsy Polivy of Manhattan Sideways. A champion of unique workspaces on NYC side streets, Betsy invited The Alpha Workshops to participate in an evening of creative entertainment for Googlers at Interface NYC. Both teams enjoyed a fantastic event, and hoped for future collaborations. This March, a group from Google reached out to Betsy for a uncommon local experience that might facilitate team connection—and Betsy immediately though of The Alpha Workshops. 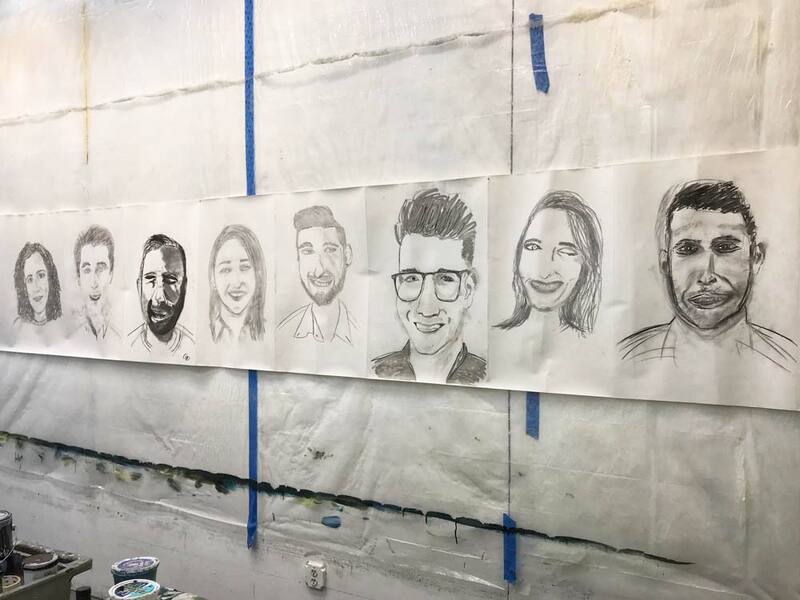 Roy Daiany, Head of Industry, Public Health, Government & Military at Google, Inc. , brought an enthusiastic team of 8 Google staffers to the Alpha Studios for an evening of artistic teambuilding and light refreshments. Googlers each created self-portraits that the Alpha staff mounted for presentation at the Google offices in Chelsea. We love welcoming new friends into our studios, and can’t wait to partner with Google team members on another workshop! Interested in hosting a teambuilding event at The Alpha Workshops? Contact spaces@alphaworkshops.org.